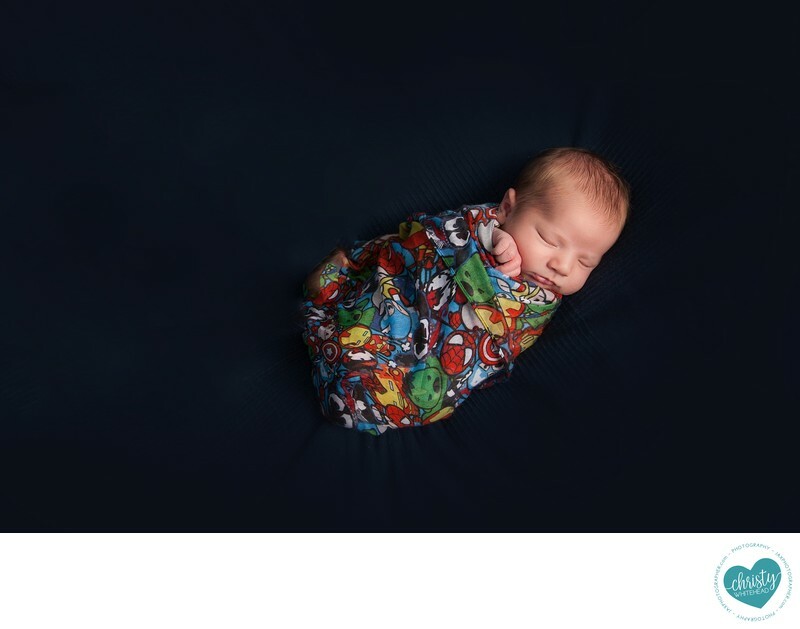 Spiderman, Ironman, Hulk, Geeky baby all wrapped up - Newborn Photography | Schedule Your Newborn Shoot Today! Daddy owns Drawn in Media a video company. He makes videos about Legos, and movie reviews for his YouTube channel and also does videos for companies. He's a big superhero fan.